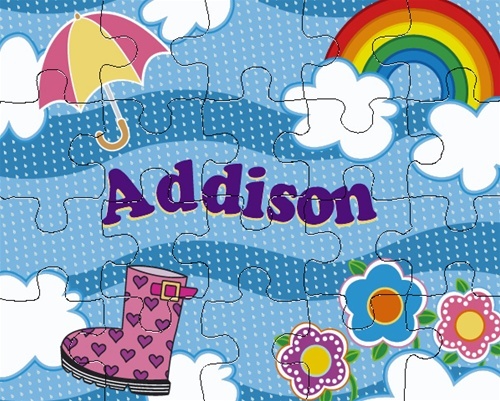 What a perfect puzzle with the child's name. There are 20 pieces per puzzle. They are packaged in a reusable cardboard box with gloss label. Assembled puzzle size is 8" x 10". Please allow 1 week for shipment.